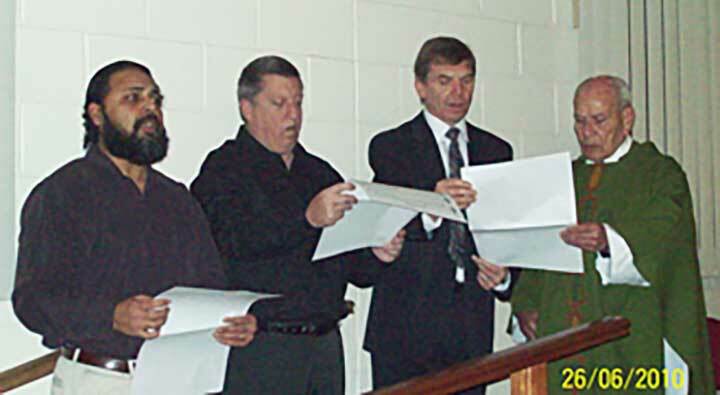 Adelaide, Australia, 22 March 2019 -- A long-time missionary priest of Australia-Pacific Province, Fr Michael Keogh SDB, returned to the Lord early in the morning of Friday 22 March 2019. Fr Michael was 92 years of age, had been professed for 68 year as a Salesian, and served at the altar as Christ’s priest for 58 years. 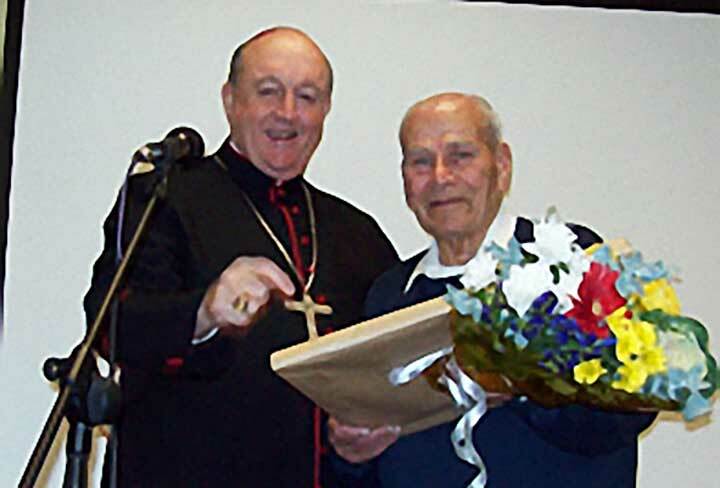 Fr Michael’s passing did not come as surprise, as he had been in bed for the last couple of years, and been in serious decline in health for a number of weeks. Fr Michael was born in Quetta, India [now part of Pakistan] on 21 September 1926. At the end of his secondary schooling, he joined the Salesians, making his first religious profession on the feast of Mary Help of Christians, 24 May 1950. He undertook philosophy and theology studies in Sonada and Shillong in India prior to his ordination as a priest on 26 June 1960. Following his priestly ordination, Fr Michael served as teacher and assistant in many Salesian schools in India. He came to Australia in 1976 as a missionary with two fellow Salesians. Since arriving in Australia, Fr Michael served in many schools and parishes as educator and pastor. He was famous as a serious hockey player in his young days. With a serious face, he was never slow to play some practical jokes on people. Fr Michael loved theatre. As an expert mimick, he would perform so well on many occasions to entertain others. He was a true Salesian of Don Bosco. May his gentle and joyful soul rest in peace, amen! Kolkata, Mar. 22. Kolkata - One of the unforgettable Salesians of Kolkata province who joined Mary Help of Christians province in Australia in 1976 passed away on 22 March 2019. Father Michael Keogh was 92 years of age, had been professed for 68 years as a Salesian, and a priest for 58 years. A communique received in Kolkata states, ''I am sad to inform you that Father Michael Keogh passed away in the early hours of this morning (22 March). He declined rapidly over the last 3 days, but it was a peaceful passing. He was conscious and interacting with visitors, the evening before, despite not being able to speak he put out his hand to us,'' says Rector of his Community Father Brian Ahern at Don Bosco Gawler, in the archdiocese of Adelaide South Australia. Father Keogh was born in Quetta, India [now part of Pakistan] on 21 September 1926. At the end of his secondary schooling, he joined the Salesians, making his first religious profession on the feast of Mary Help of Christians, 24 May 1950. He undertook philosophy and theology studies in Salesian College Sonada and Sacred Heart College Shillong prior to his ordination as a priest on 26 June 1960 by saintly Bishop Stephen Ferrando SDB, then bishop of the Diocese of Shillong in north east India. On 3 March 2016 Bishop Ferrando was proclaimed to be Venerable after Pope Francis recognized that Ferrando led a life of heroic virtue. Father Keogh worked in numerous places in India and Australia including Park Circus, Bandel and Liluah (Kolkata), Krishnagar (West Bengal); Engadine, Sunbury, Chadstone, Brooklyn Park, Port Pirie, Victoria Park, and Kelmscott in Australia. On hearing about the news, SDB Kolkata WhatsApp group has been receiving comments and condolences from confreres reminiscing memories of Father Keogh. ''He was such a wonderful Salesian priest, a friend of all, particularly of our young aspirants and Brothers (clerics in practical training). I cherish the valuable help rendered to me through skits and interesting dramas for the academy of those years,'' says a young cleric of those days at Bandel aspirantate and now Rector of Salesian College Siliguri Campus, Father (Dr.) Mathew Pulingathil. ''A great friend of mine, he encouraged me much. He knew how to interact with youngsters. A good teacher, he coauthored a text book for teaching English to Bengali students when he was at Don Bosco Krishnagar. A lover of cricket, hockey, football, drama and storytelling, he had all that young boys loved,'' says Salesian Father Sebastian Champanil, a leading Catholic charismatic figure in Eastern India. Another of Salesian, recalls, ''Keogh was a decent human being, never occupied positions except among boys, one who cared about the Salesian charism and call in its most refined simplicity. We lost him when he left for Australia and now the congregation too, obeying the laws of the cycle of life,'' says a Kolkata Salesian Father Joseph Thannickal. Golden jubilee of his priestly ordination was held 26 June 2010 with a large gathering of family, friends, parishioners, guests and confreres at St. John Bosco Church, Brooklyn Park. South Australia. Members of Father Keogh's family from Victoria and Queensland were present, particularly his sister Kathleen. At the end of Mass, it is said, Father Keogh joined three other parishioners and as a quartet sang a hymn in Latin, Laudate Dominium (Praise the Lord). 5045(I)_"Do whatever he tells you"